Rigid Furniture Feet are our best selling height adjustable feet. We have 1000's in stock and base diameters from 25mm diameter up to 63mm diameter, and every size in between. Levelling furniture feet are ideally fitted as adjustable furniture feet, on display equipment and as cabinet feet. Rigid Furniture Feet enable furniture, stands, and machinery to be levelled and can be adjusted to account for uneven floors. 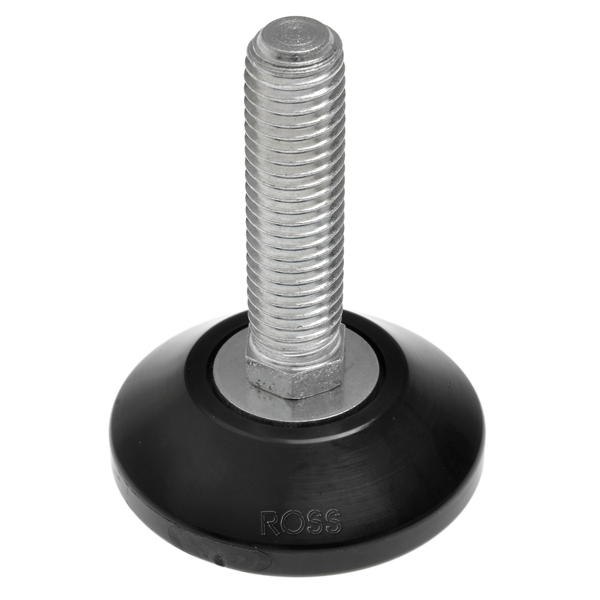 Rigid Feet can be supplied with either M6, M8, M10 or M12 threaded stems. We also can offer height adjustable feet with varying base heights and thread heights. Team our levelling feet up with threaded inserts suitable for hollow tubing, or with our rigid feet brackets. For extra stability we can offer rubber non slip shoes for certain sizes, so have a look at our accessories page for more information.